More retconned pictures. | Blog-O! The main tip-off that these are back-dated entries is my inability not to use 21:12 as the posting time. 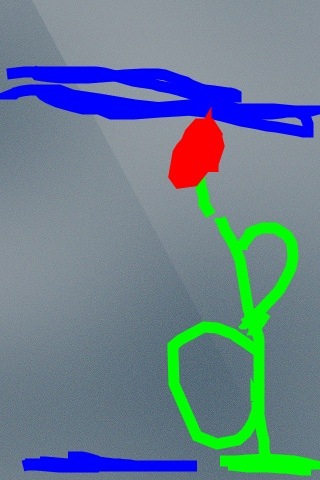 The left-hand image is of a flower beside a river. The blue at the top of the picture is the sky. Only having one shade of blue is one of the limitations you have to work around when using a free drawing app on an MP3 player. Less of a limitation when you’re 4. 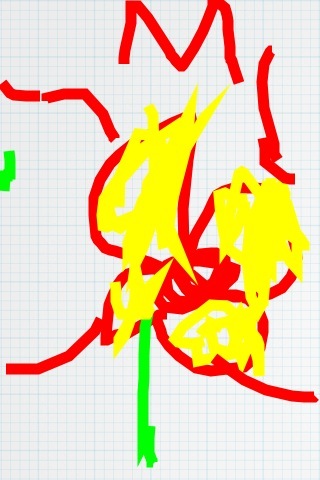 The drawing on the right is a flower, and the sun. Or maybe it’s a sunflower. Heh.